Denver, Colorado continues to be at the top of different lists when it comes to the best cities to live in across the United States. This is because of the affordable cost of living, the many job opportunities, the local amenities, as well as the great public schools. We have compiled a list of some of the top Denver neighborhoods for you to explore when you are considering a move to this amazing city. South Park Hill is extremely family oriented. There are several parks in the area and many of the neighborhoods and roads have been improved in recent years. With a population of around 9200, there are plenty of amenities nearby for everyone. The urban area is a great place for families and offers affordable housing. Montclair is conveniently situated between Denver and Aurora. It has a great, urban feel to it and is a good place for families. The median home value is around $397,000 and offers a wide array of home types. Crime is low and there are many great public schools throughout the area. It’s a safe area with a neighborhood watch program in place, too. With an estimated population of around 19,500, Stapleton is a nice neighborhood. The median home value is over double the national, identifying that it is on the more affluent side. There is a significant amount of diverse city, a great nightlife, and it is considered a great place for families. Cheesman Park is found in central Denver, making it easy to get anywhere in just minutes. The majority of the population of 8600 is extremely friendly and according to local reviews. The urban area has a median home value of around $272,000. Additionally, it is considered a great place to raise kids. Denver Botanic Gardens is within walking distance as is located within the neighborhood. The Country Club neighborhood is located near the historic district of Denver. It is also located east of Interstate 25, making it accessible. Crime levels are low, providing a high level of safety. The suburban area also has a median home value of approximately $908,000. The welcoming neighborhood of Congress Park has a number of beautiful trees as well as huge parks for both dogs and kids. It is very safe, with the roads being tucked away from major highways. The urban area has a population of around 11,400. There is substantial diversity and it offers a great nightlife with the number of restaurants and clubs in the area. Many residents love Washington Park because of the restaurants and shopping nearby. The population is around 7300 and offers good schools as well as being a great place to raise a family. The suburban area also has a median home value of around $621,000. Those who live in Platt Park enjoying the close-knit community. There are a number of small businesses in the area as well as restaurants and bars that recognize the diversity. The urban area has some great schools and is conveniently located near Interstate 25, making it extremely accessible. When it comes to choosing a neighborhood in Denver, you need to prioritize. Consider what your budget is as well as whether schools and other amenities are important when it comes to identifying the right neighborhood for you. 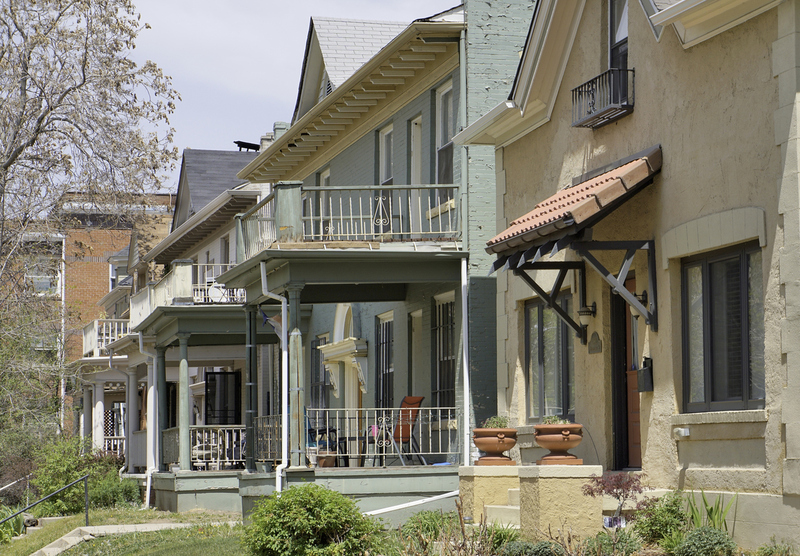 With so many rural, suburban, and urban options, there is a neighborhood for everyone. When you are ready to explore the top Denver neighborhoods in detail, contact Dyllan Real Estate. We look forward to being able to show you around some of the areas and find your dream home in Denver.